The Grace Brethren Church, Rittman, Ohio, is celebrating its 100th birthday this month. 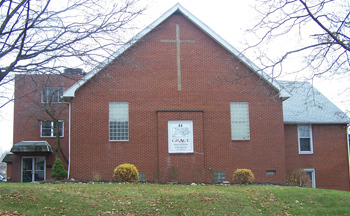 The Grace Brethren Church in Rittman, Ohio (Bud Olszewski, pastor), is celebrating their 100th anniversary this month with special services on November 23 and 24. Thoughout the year, they have marked the decades with a slide presentation that follows U.S. history, along with what happened in the church during those years. Below are the videos for the decade of the 1990s and the 2000s (2000 to 2013).